Though very little is given away, the shot looks like a follow-up to the post-credit scene that featured at the end of X-Men: Days of Future Past, with mentions of a ‘sprawling battle’ near the Nile, watched over by the Four Horsemen. Presumably, we’ll be kicking off Apocalypse by learning about En Sabah Nur (aka, the titular Apocalypse) and his experiences as the first mutant in Ancient Egypt. It looks like fans of the series should keep an eye on Bryan Singer’s Instagram account in the future to see if he’ll spare us any more morsels of information to feast on until the film hits the silver screen on May 27, 2016. X-Men: Apocalypse has Found its Nightcrawler! 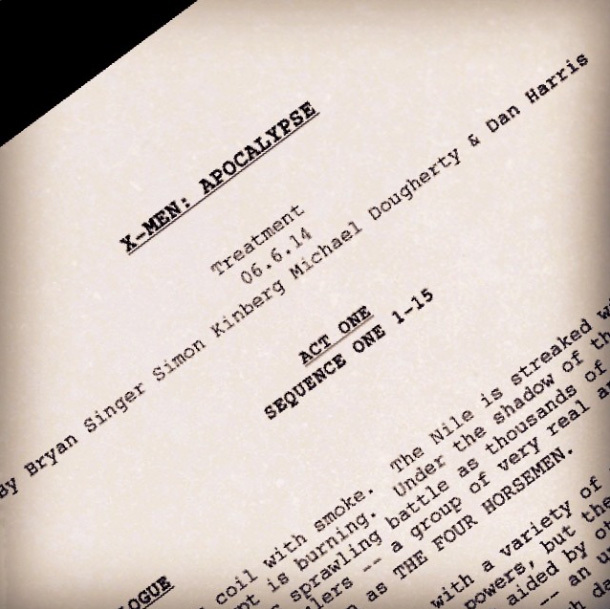 Bryan Singer confirmed to helm X-Men: Apocalypse.